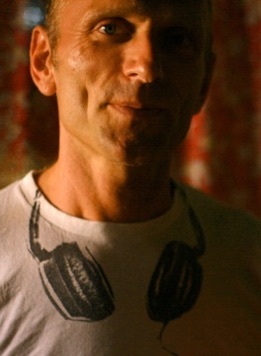 Nigel Marshall has been practicing Ashtanga Yoga since 2001. He is a direct student of Sri K. Pattabhi Jois and is authorized to teach by the K. Pattabhi Jois Ashtanga Yoga Institute in Mysore, India. 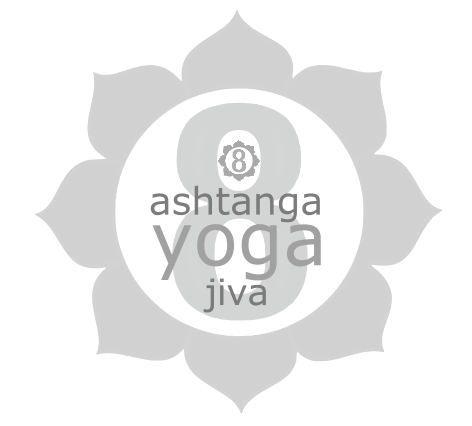 He was first taught Ashtanga Yoga by KPJAYI certified teachers Alex Medin and Maia Heiss at London's Yoga Place. Since then, he has practiced with many certified and authorized teachers and regularly returns to Mysore to practice with R. Sharath Jois. 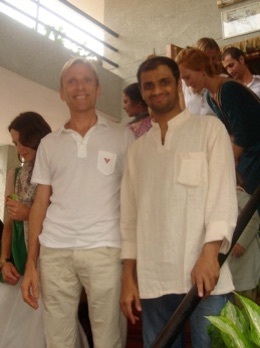 In 2010, Nigel attended the teacher training program for authorized teachers at The KPJAYI with R. Sharath Jois. In 2013, he assisted R. Sharath Jois, at The KPJAYI. In 2004, Nigel's teaching experience began with assisting authorized teacher Saisha Petersen. Slightly reluctantly he began teaching professionally in 2005. The glorious results of a misspent youth have meant that advances in the practice have not come quickly or easily to Nigel. A difficult individual, with a difficult body, he considers his teaching style to be influenced by his own patient struggle to overcome stiffness and injury. And so Nigel emphasises care and alignment within the context of a traditional Mysore-style class. Nigel has taught in England and all over Asia. He taught the Mysore program in Bangkok, Thailand from 2008 to 2012, and currently teaches at Pure Yoga in Hong Kong. Nigel was a student of practical philosophy and meditation at London's School Of Economic Science for ten years. He remains enthusiastic about philosophy and in particular the ideas of Gurdjieff and Ouspensky, Krishnamurti, Osho and Shankacharya Sri Shantananda Saraswatti and of recent years Buddhadassa’s take on Buddhism. Nigel also takes a keen layman's interest in nutrition and general health, Ayurveda and other forms of natural holistic medicine.